Cheese Education Guild is the first cheese school dedicated to cheese appreciation in Canada. Since 2005, this in-depth, certificate program has raised the level of cheese knowledge and inspired cheese enjoyment for all levels of caseophiles (cheese lovers). Throughout the series of three Cheese Appreciation courses, students explore and compare hundreds of cheeses so that they can experience the artistry in a truly great cheese and understand the challenges facing cheesemakers. Our graduates are the cream of the crop in the cheese world, the sommeliers of cheese if you will. There is no better place to train your palate and your staff to the intricacies of cheese than at the CEG. Lisa’s passion for all things “cheese” began at an early age while visiting her grandparents in Stratford, Ontario. She and her grandfather would make the “all important” trip to the Leslie Cheese House where she would “choose the cheddar”. Spending lots of time in Stratford, Lisa grew to appreciate and to understand rural farming communities, fresh, seasonal produce, farmers’ markets and Canadian Cheese. In 2007, she discovered the Cheese Education Guild cheese appreciation courses and completed the three level certificate program in 2008. As a “graduate fromager”, Lisa worked with Kathy Guidi, the Founder of CEG for a number of years, assisting in Cheese Appreciation classes and tutored tastings and working on cheese marketing and research projects for Artisan Cheese Marketing. In addition, she has worked in a number of retail cheese shops in Toronto and has designed a “Cheese 101” tutored tasting event which has been presented in private homes, schools and for larger groups in and around Toronto. Debbie grew up in the Niagara Peninsula which gave her an appreciation and passion for fresh seasonal food. Her travel industry background served up her seminal moment in cheese appreciation. While working for Air Portugal, pilots would bring her Portuguese cheeses to try. Meals in Portugal would always start with queso fresco, pao Portuguese (bread), olives and olive oil. The simplicity and freshness of these traditions have always stayed with her. 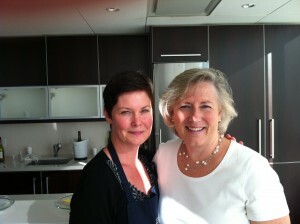 Debbie is a recent graduate of the George Brown Chef Training and Baking and Pastry Arts programs. She is a graduate of the 2006 class of Cheese Education Guild and has also completed Wine Appreciation 1 through the International Sommelier Guild. 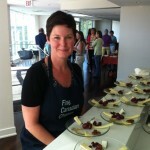 Since 2005, Debbie has assisted Artisan Cheese Marketing in coordinating and executing Dairy Farmers of Canada and many other private tasting events. 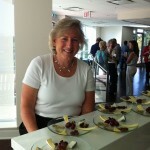 Debbie also leads LCBO wine and cheese workshops in conjunction with an LCBO product consultant. Debbie is an active member of the American Cheese Society, Slow Food International and the Woman’s Culinary Network. She is also a founding member of the Cheese Education Guild Cheese Club. In her spare time Debbie loves adventure travel. Some of her highlights include climbing Mount Kilimanjaro and the Grand Teton, trekking in Nepal and scuba diving in Palau. For Marla it has been a steady build in understanding and appreciating food and in particular, cheese. In 2005, she found the Cheese Education Guild and began to study cheese and to explore her passion. As a “graduate fromager” Marla continued her studies, making cheese at the “Three Shepherd’s Cheese School” in Vermont and working at various specialty stores in Toronto and at events like The Great Canadian Cheese Festival. In 2012, she and partner Lisa McAlpine bought Cheese Education Guild, the first school in Canada dedicated to cheese appreciation, from retiring founder Kathy Guidi. The two friends have been busy ever since teaching cheese appreciation to both food professionals and enthusiasts and exploring Canada’s burgeoning artisanal cheese scene. Marla was recently invited to be a judge at the inaugural Canadian Cheese awards www.cheeseawards.ca which were held in Toronto on April 7th, 2014. 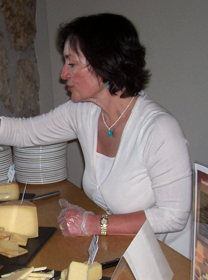 Kathy Guidi is the author of Canadian Cheese: A Guide, 2nd updated Edition. She is also the founder of Cheese Education Guild (CEG) and President of Artisan Cheese Marketing (ACM). With over 35 years of experience working with cheese mongers and producers across Europe, Canada and the United States, Kathy is known as a cheese industry leader and innovator with well established relationships, particularly in Canada and the US. She has worked in many facets of the cheese & deli industry. Kathy’s Bachelor of Science degree in Food and Nutrition provided the foundation for weaving her career around cheese. “This wholesome, pure food can be traced to every ethnic group, culture and period of history throughout time. Even today it provides a common link among people across the world. The experience of cheese connects everyone!” she says.